Our Energy Exchange Program is the most important part of the day-to-day operations of the studio! Participants are integral to creating and maintaining our atmosphere, energy and cleanliness around the studio. And for those who are the right fit, we offer the best compensation program in the city! 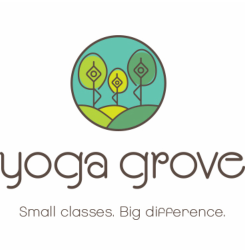 If you love yoga, and love what Yoga Grove has to offer, this is an excellent way to become part of the Yoga Grove community. By dedicating a few hours of your time each week, you’ll receive enough credit to support your yoga practice (and/or that of your friends and family), all while getting more involved with the studio, our instructors and a vibrant yoga community! Participants commit to one or more 2-4 hour shifts per week (same time and day each week), working at Yoga Grove’s reception desk. In return, they will earn $15 per hour in credit to be used at Yoga Grove for themselves, and/or for their friends and family. Credit can be used to purchase non-discounted classes and class passes, workshops and lectures. It can also be used for up to 50% of the value of all merchandise and retreats. Classes bought are non-transferable. Credit accumulated each month must be used within 6 months. Classes and passes are valid for 6 additional months from the time of purchase. The main responsibility for our Energy Exchange team is manning Yoga Grove’s reception desk. This involves greeting students, welcoming newcomers, describing our services to walk-ins and callers, answering questions, answering the phone, signing in students, selling merchandise and classes, handling payment, and other administrative and office work. It also involves some light cleaning and tidying of the studio and facilities. We are looking for friendly, enthusiastic and welcoming individuals who love yoga and what Yoga Grove is all about: creating a personalized experience of yoga. People’s first impression of Yoga Grove is usually from their interactions in person or on the phone with Reception. It’s important therefore that our receptionists are warm, enthusiastic, informative and welcoming at all times. Note that this position is not a volunteer position. Having an Energy Exchange shift should be treated like a regular paying job. You are expected to dress in work attire and to present yourself in a professional manner at all times. You are expected to arrive on time each week, and if you can’t make it for some reason (illness, vacation), you are responsible for having it covered by someone else on the team. Generally, if someone covers you, you offer to cover one of their shifts - this keeps the good karma going. If accepted into the program, new participants are given a one-month probation period. This is to ensure you're the right fit for the job, and that you find this commitment manageable. Thereafter, we request that you try to commit to a minimum three-month period. If you can see yourself making the time for this shift each week for at least a 3-month block of time, please get in touch with us - we’d love to explore this opportunity with you! If these shifts don’t work perfectly for you, but you would like to be involved, let us know and we’ll see what we can do to fit you in. Thank you for your interest in the Energy Exchange Program! Note that all information submitted is CONFIDENTIAL and only will be for studio use.